I studied environmental health at Aston University, leading to a career in environmental health in three different local authorities, culminating in a first tier officer role as chief officer for environmental services with the former South Herefordshire District Council. A Magistrate for over 30 years and a member of the Employment Tribunal Service for 16 years. I took early retirement and became self employed as a trainer/consultant, including many years as a part time tutor at Herefordshire College of Technology. My wife, daughter and myself moved to Hereford in 1979, with my son being born later that year. We have lived in the city ever since, albeit my son and daughter have now moved elsewhere. I became a councillor on Herefordshire Council in 2003 and have held cabinet roles for 9 years before resigning to become Mayor of the City in 2012/13. During my time on this council (and Hereford City Council), I have been responsible for several large projects in flood alleviation, highways, town centre aspects and other infrastructure improvements and hope to continue promoting other schemes for the benefit of the county in general and Hereford city in particular. 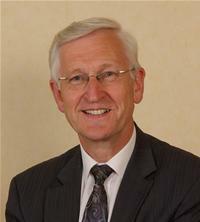 Elected Chairman of Herefordshire Council in May 2015, a post still held.